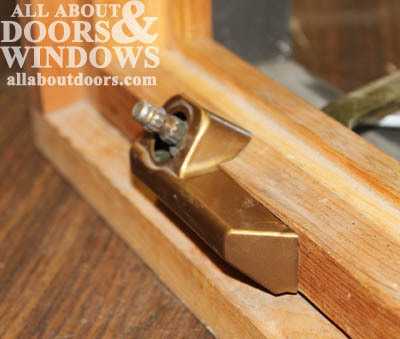 How to Replace Your Pella Roto Operator on a Casement Window. Using the side latches on the side of the screen, gently remove the screen. Remove crank handle by loosening the set screw. Carefully pry off the plastic cover that the crank sits in. Remove the sill cover. This is the piece of wood that is covering the roto operator mechanism. It is held in by upward-pointing shank nails, and can be carefully removed using a putty knife and a flat pry bar. Carefully ease the knife and pry bar in between the sill and window frame, and gently pry upwards. Start at one end of the sill and work across the frame, loosening a little of the sill at a time until the whole thing can be removed. Now the nails must also be removed. You won't be able to easily repair the sill cover if you leave the nails in. The nails are most easily removed with needle-nosed pliers. Bend the nails back and forth until they give and slide out. Remove the existing Pella Roto operator. 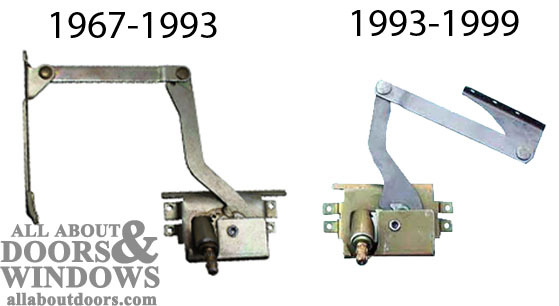 There are four screws holding the main mechanism in place on the base of the window frame and three affixing the arm of the operator to the sash (moving pane) of the window. Install the new Pella Roto operator in the exact same position, using the same number of screws. Check to see how the window operates. You may need to adjust the arm piece on the sash by loosening the three screws, moving the arm forwards or backwards and re-tightening the screws. When you are sure that the sash is closing properly, open the window and reinstall the wood sill cover. 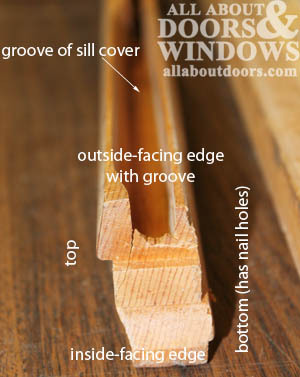 There is a groove in the wood cover that the operator arm should slide into when the window is closed. 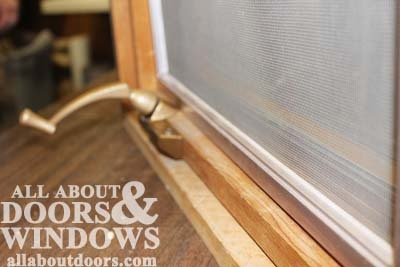 Sill cover should snap tightly into place in the window frame without nails or screws, but screws can be inserted in the screen groove for extra restriction if necessary. These will be hidden by the screen when it is replaced. Replace the operator cover by carefully snapping it back in place over the sill cover. 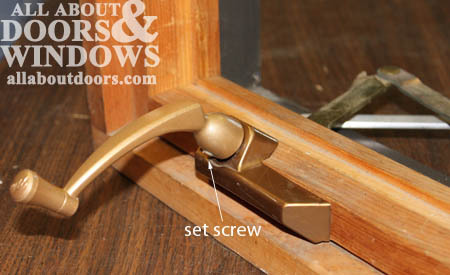 Replace the crank handle by reinstalling the screw. Replace the screen the same way you took it off. This should cover all, if any, screws used to hold the sill cover in place.